← Not ‘Cricket’ (Nor True to the Story)! CVA 180-5198 – Fisheries building. 191-? Home to the first Vancouver Aquarium (at Hastings Park). 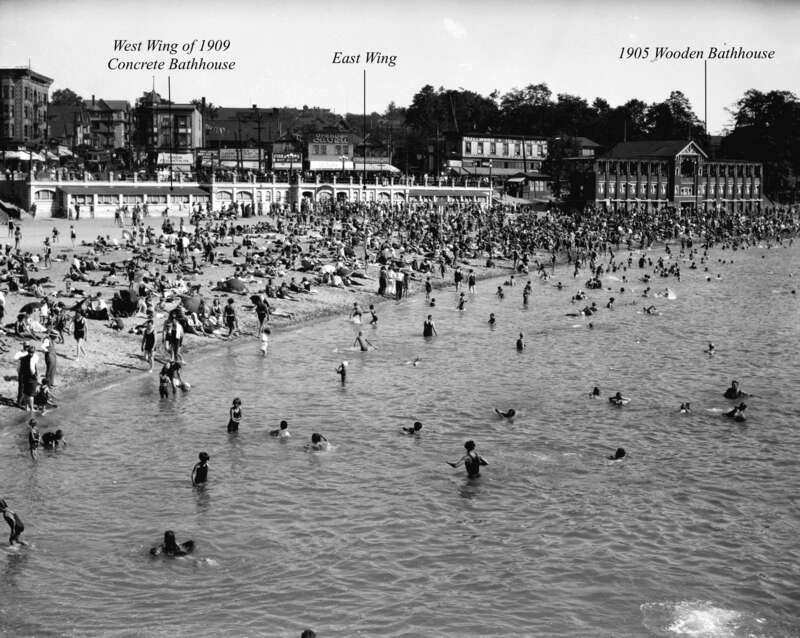 The initial call for the construction of an aquarium on the exhibition grounds of Hastings Park came in 1910 from the Vancouver Exhibition Association (VEA – the early decision-making body for what would ultimately become the Pacific National Exhibition). The VEA applied to the federal Fisheries ministry for permission to establish a “fisheries building” or aquarium in Vancouver, but the feds turned them down. The reason given was the prior existence in New Westminster of a fisheries building. [Vancouver Daily World 3 April 1910]. The Vancouver Exhibition is to have an aquarium. Not a dinky little pool with some tame gold fish swimming leisurely around, but a real concrete aquarium with a glass front and all the fixings big enough to keep sharks in if necessary. . . . The new aquarium will be about 150 feet long, with a plate glass side, in order to permit the public to get a good view of the denizens of the deep [VDW 18 April 1911]. The description above would prove to be more fantasy than anything. No sharks, as far as I can tell, ever occupied the Hastings Park aquarium (although, by 1924, there was a report of a family of alligators residing within a glass enclosure adjacent to the aquarium; they were donated by a Florida-based carnival). By 1914, promised government funding was in place to construct the $1500 aquarium at the exhibition grounds, and it seems to have been operational by 1915. What was the function of the Hastings aquarium? As with most exhibits at the Park, a primary function would have been to promote the product. Yes, fish and other sea critters were perceived at the time primarily as products. Conservation, research and education (a few of the prime directives of today’s Vancouver Aquarium) would have been viewed as a trifle odd by the folks running the fisheries building. In addition to product promotion, the aquarium was viewed as a means to encourage tourism to the City. CVA 99-2118 – English Bay scene 3 Aug 1930 Stuart Thomson photo. Haglund’s aquarium was initially restricted to the west wing of the concrete bathhouse. Later (1941), permission was given by the Parks Board for Haglund to expand into the east wing, too. The CVA photo has been annotated by the author. Seattle’s first aquarium manager and well-known restaurateur, Ivar Haglund, ran Vancouver’s second aquarium. 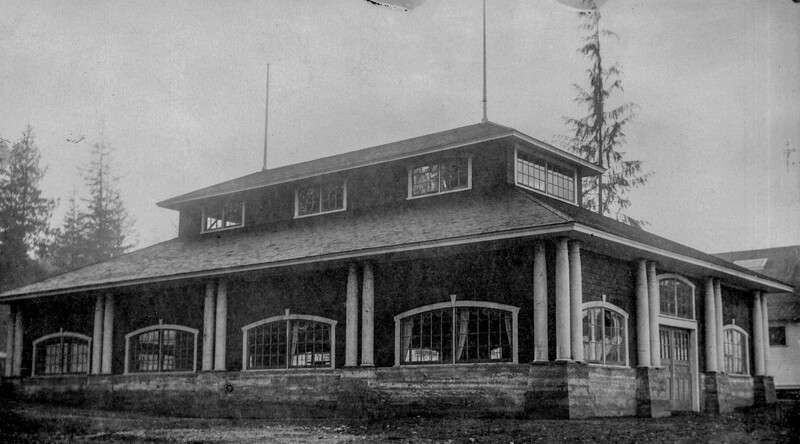 The Vancouver Parks Board leased Haglund roughly half the space (the west wing) of the dis-used concrete bathhouse at English Bay (built 1909) [Vancouver Parks Board, Minutes, April 13, 1939]. By October, 1939, the new aquarium was ready to open and was dedicated by UBC President, Leonard Klinck. 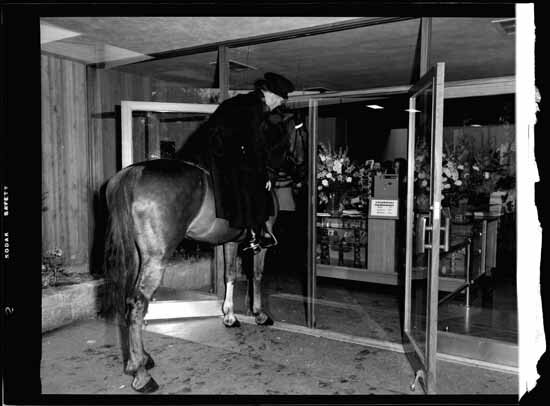 He “expressed the idea that this aquarium contained the nucleus of one of the most valuable educational features of the City” [VPB, Minutes, Oct 13, 1939]. In December, 1940, VPB granted Haglund permission to sponsor a series of high-grade, entertaining and educational” talks pertaining to aquarium life [VPB Minutes, Dec 13, 1940]. And in March 1941, Haglund announced that CKWX radio was starting a weekly quiz show called “Fish for the Answers”. It would be produced in cooperation between the Aquarium and the Vancouver high school science department [VPB, Minutes, March 28, 1941]. These developments are indicative that education was gradually becoming a function of Vancouver’s second aquarium. In February, 1941, the Parks Board granted Haglund permission to expand beyond the west wing of the old bathhouse and into the east wing. The West End Community Centre had formerly been housed in the east wing [VPB, Minutes, Feb 28, 1941]. Five years have proved fairly conclusively that the present location in the old abandoned bathhouse at English Bay is not suitable for a successful operation. In the winter months, a creditable exhibition of marine life can be maintained. But in the summer, when a good patronage is available, many of the most attractive species, including octopus, sea-anemones and many types of fish are unable to live as the water is too warm and lacks the necessary salinity. It is planned to find a new location, preferably in Coal Harbour, where the water is nearly consistent as regards temperature and salt content [1944 VPB Annual Report]. By roughly the time of the second aquarium’s 10th anniversary, the Parks Board made it clear that it wasn’t interested in a longer-term commitment to the bathhouse site; the lease with Haglund would be continued on a year-to-year basis “pending construction of a new aquarium.” [VPB, Minutes, Feb 6, 1950]. In 1953, the Parks Board was quite critical of the quality of exhibits at the aquarium and, in response, Haglund requested permission to temporarily close the site until he could acquire better exhibits [VPB, Utilities Commission Minutes, Feb 2, 1953]. Doubtless, Haglund could read the writing on the wall and, in 1955, he reported to the VPB that he’d closed the site permanently in October [VPB, Minutes, Dec 19, 1955]. ¹I am indebted to Vancouver historian and collector, Neil Whaley, for opening my eyes to the existence of these other aquarium sites. His research into this subject has been invaluable in writing this post. ²For greater (national and international) context on aquaria and fish culture, see this very helpful resource by Wiliam Knight. The first Vancouver aquarium is mentioned and there is a photo included of it (from the Library and Archives Canada collections) which isn’t in this post. This entry was posted in aquarium, Dominion Photo, Don Coltman and tagged bathhouse, bc, english bay, fisheries building, Hastings Park, history, Ivar Haglund, Lipsett Collection, Museum of Vancouver, Neil Whaley, stanley park, vancouver, Vancouver Aquarium, Vancouver Parks Board, West End Community Centre, William Knight. Bookmark the permalink.